The Nigerian Army on Saturday announced the re-opening of the Maimalari Cantonment Mammy Market, Maiduguri, after three years it closed down due to insurgency. 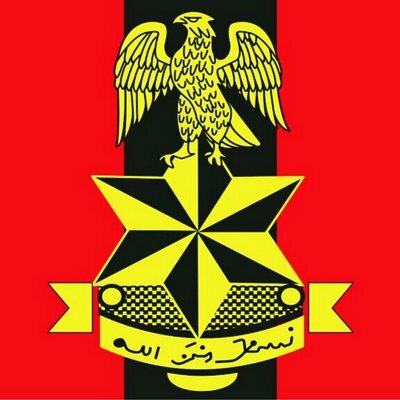 Brig.-Gen. Victor Ezugwu, General Officer Commanding (GOC), 7 Division of the Nigerian Army, Maiduguri, made the announcement at the launch of the Chief of Army Staff (COAS) Investment Initiatives for Barracks Community in Maiduguri. Ezugwu said that re-opening the market was to alleviate the sufferings of the barracks community which had been negatively affected by the long closure. He also distributed N1 million soft loans to 10 women corporative groups as well as 10 tricycles to 10 barrack youths as part of the initiatives. He said that the women were expected to use the money as start-up capital for their own businesses while the tricycles would provide jobs for the unemployed beneficiaries. “The launch is all about trying to conform to the COAS, Lt-Gen. Tukur Buratai’s intention for formulating COAS Investment Initiative for Barracks Community. “He directed all GOCs to launch it in all the army barracks nationwide,” Ezugwu said. “The objective is to create employment opportunities for our women and children that are up to employment age but have no jobs for them to have means of livelihood to support the husbands and fathers to make a living. “Today, 10 cooperative women groups benefited from our soft loans of N100, 000 each, totalling N1 million,” he added. He said that the second batch of the women group would benefit from the loan in May, adding that “we want to make it monthly affair to empower all the women in the barracks’’. “The tricycles are also trying to provide jobs for the youths who have no jobs,” he stated. The GOC said that the army had established a ranch in the barracks for cattle training and rearing, and added that all women who were interested in cattle or animal rearing were free to make use of the facility. “That ranch is for us to rear our animals and feed our soldiers; barracks women interested in rearing animals for empowerment are also free to use the ranch,” he said.